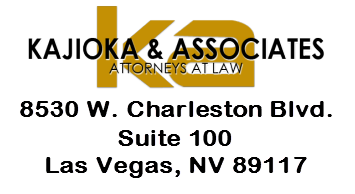 Kajioka and Associates, Attorneys at Law, of Las Vegas, Nevada has over 30 years experience representing clients in Criminal Defense, Personal Injury, and Business Law. With consistently defending those accused of crimes in the court system, we can help each of our clients with each step of the process. Compassion, attention to detail, and continuous respect is directed to each of our clients as you go through this stressful time. 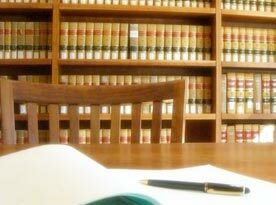 Our group of successful and aggressive attorneys is dedicated to achieving the most optimal outcome for your case. 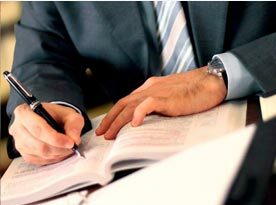 Kajioka and Associates, Attorneys at Law are readily available to help locals and those from out of town with our criminal defense services; including white collar crimes. 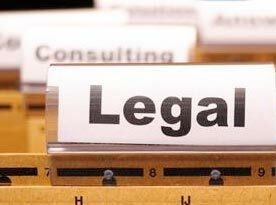 These crimes are separate from violent crimes, consisting of crimes pertaining to businesses, forgery, and fraud. Though they are nonviolent criminal acts, the state and federal government actively pursues white collar convictions. Being a felony offense, white collar crimes are on your permanent record, negatively impacting your future employment options, as well as potentially impose long term prison sentences, heavy fines, and restitution for victims if convicted. Bank Fraud: Defrauding a bank intentionally to obtain access or control over the bank’s money or property. Bribery: Improperly influencing an employee without the knowledge of their boss, a public official, judge, juror, or witness in a court case, as well as athletes and referees in sporting events. Computer crimes: Accessing computer intelligence from a person or entity in order to steal information or money. Conspiracy: An agreement between two or more people to commit a crime, even if any steps were not taken to complete the crimes. Conspiracy to Commit Racketeering: A person committing or even agreeing to at least two crimes in furtherance of a criminal enterprise. Embezzlement: A person who steals the money or property from its rightful owner that was entrusted to hold money or property. 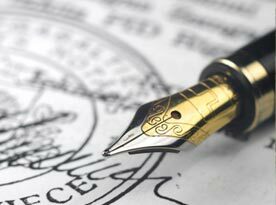 Forger: Any person who passes or attempts to pass, as true and genuine false instrument, or who knows it to be false, or has intent to defraud another person. Healthcare Fraud and False Billing: Billing for procedures which were never completed or double billing for the same medical procedures. Identity Theft: Using personal identifying information of another to access and steal their money or property. Investment and Securities Fraud: Defrauding investments and security entities with the intent to steal information, money, or property. Money Laundering: Using financial transactions to conceal the unlawful source of money. Mortgage Fraud: Providing any false information or activity that causes a lender to provide a mortgage as well as any false appraisals or schemes in order to modify mortgages for distressed homeowners. Wire and Mail Fraud: Fraudulent schemes that rely on electronic communications or the mail; generally associated with other white collar crimes.